We've been trying to go meatless lately. We're not ruling meat out completely, trust me, I was born a meat and potatoes kind of girl. It's more that we're trying to save money, and eating meat every night, especially the good stuff, eventually adds up. 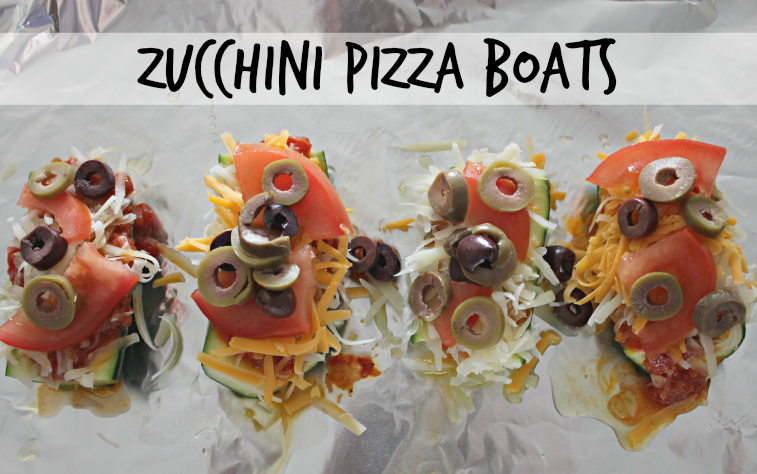 Enter zucchini pizza boats... They look like pizza, taste like pizza and you're getting a whole whack of vegetables in one meal! *Quantity of these ingredients are to your liking. Wash the zucchini well and slice lengthwise. Using a spoon, scoop out some of the flesh from the centre. Leave about one centimetre around the edges. 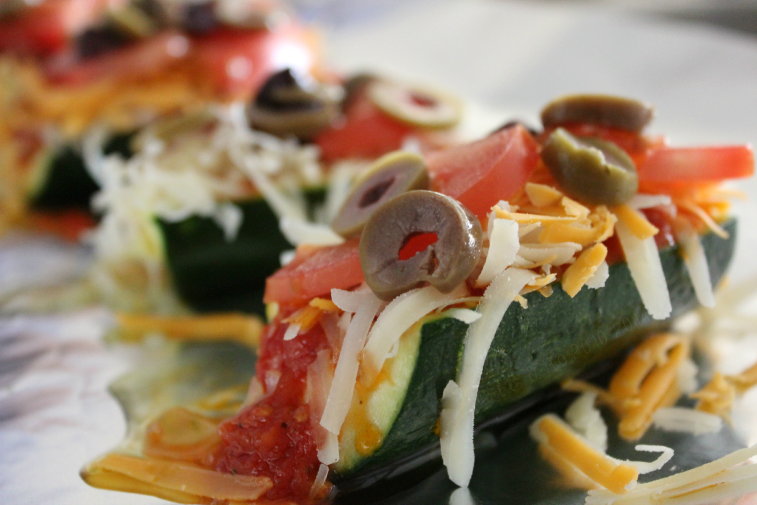 Place the zucchini on a tin-foil lined baking sheet (it can get messy). 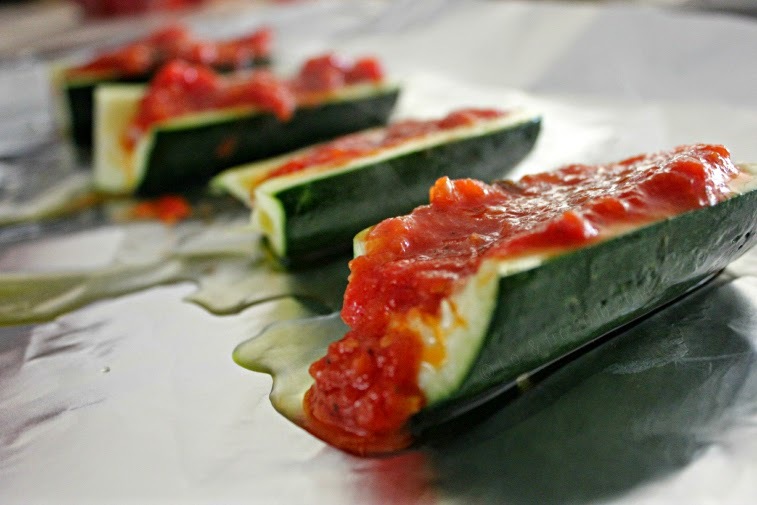 Add tomato sauce to the zucchini. Top with sliced tomatoes, shredded cheese and chopped olives (or whatever toppings you choose). Bake 20-30 minutes, or until cheese is melted and slightly brown. Allow to cool slightly before you take a bite! I wish I could show you the final product and its melty-goodness, but they were gone so fast I didn't have time to snap a pic. We've been making zucchini 'spaghetti' lately and have loved it, so will have to try these next! I've seen recipes for that, and spaghetti squash "spaghetti". May have to try that next. 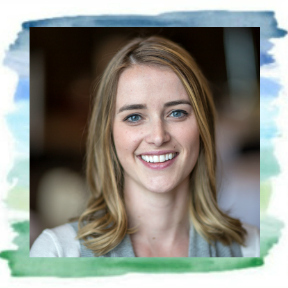 Let me know what you think if you try this recipe! Yum! Makes me long for summer, when I can harvest my own zucchini from my garden! 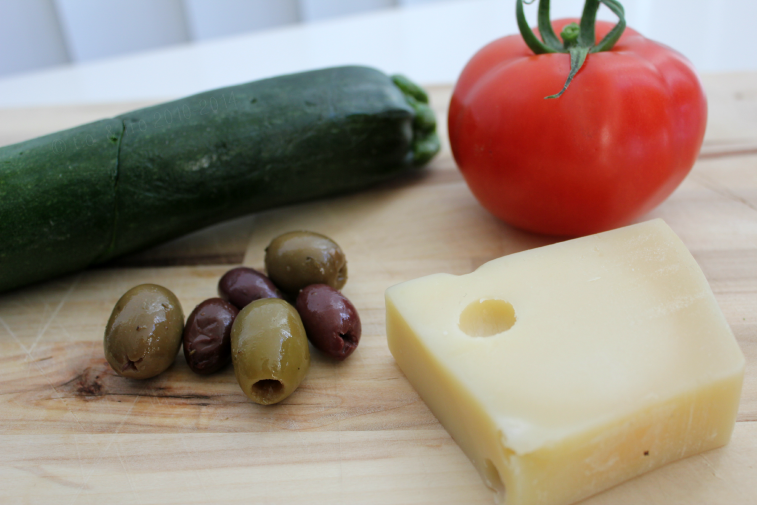 We make things similar to this with shredded Parmesan Reggiano cheese. Delicious! Just trying to figure out what to do with the extra zucchinis in my fridge - now I know!